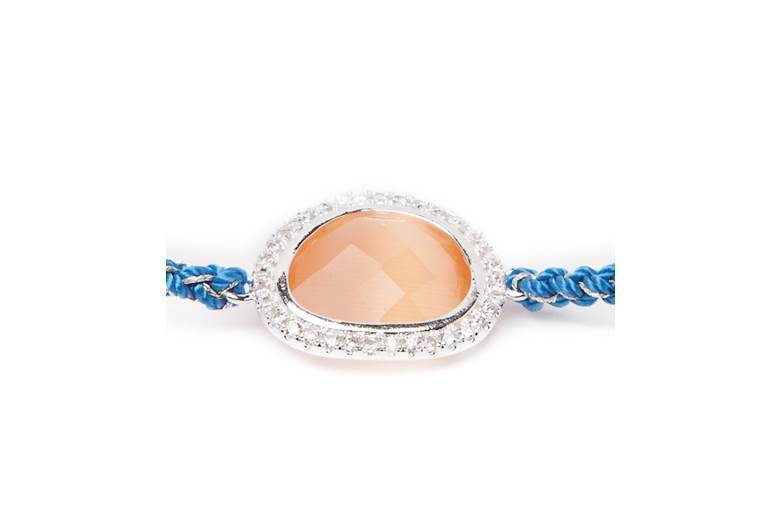 Beautiful handmade bracelet, with orange center stone, finished with blue color yarn and fluo pink tassels. 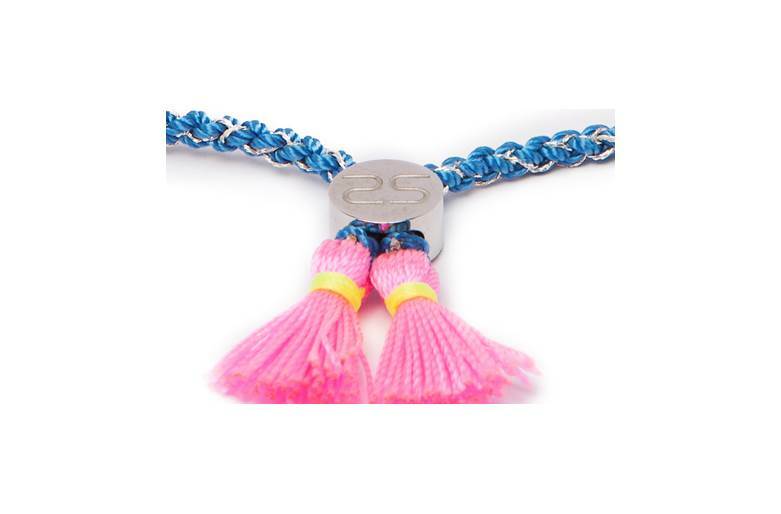 BLUE LAGOON MEETS PINK & ORANGE | Beautiful handmade bracelet, with orange center stone, finished with blue color yarn and fluo pink tassels. SILIS | THE COLOR STONE | We just love color! 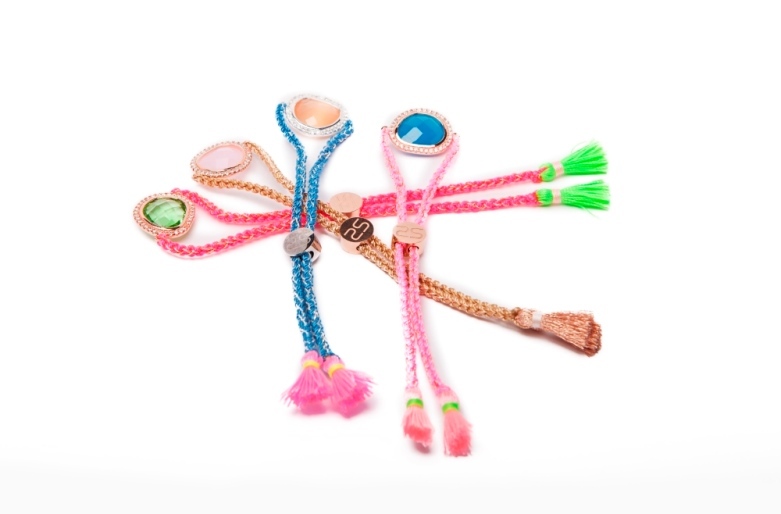 Beautiful handmade bracelets, with a gorgeous center stone, finished with colorful details and cute tassels! Available in 4 gorgeous color combination. 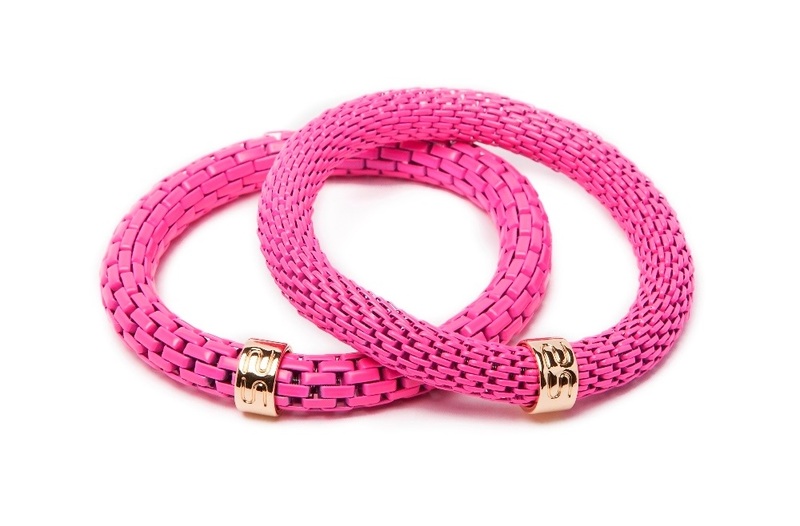 Your summer must have bracelet!